For many years, sellers have been looking to better understand how buyers make decisions. Wondering why clients who obviously need their exact product just won’t buy from them. Is that you too? Imagine a sales conversation between to robots – no emotion and based solely on logic. One has a need the other has a solution and as long as the price presents value then the transaction would proceed. Plainly this is never the case. Human beings are complex with many personality traits, in fact there are differing thoughts and reactions happening simultaneously inside each and every one of us. NeuroInfluence utilises the understanding of what causes these different responses, to ensure we never unwittingly repel a client but instead always draw clients towards us in a sales situation. Knowing this can be the catalyst to flourishing in sales and making all the money you deserve. Download this free eBook today to find out how to attract rather than repel the instinctual brain of your clients. 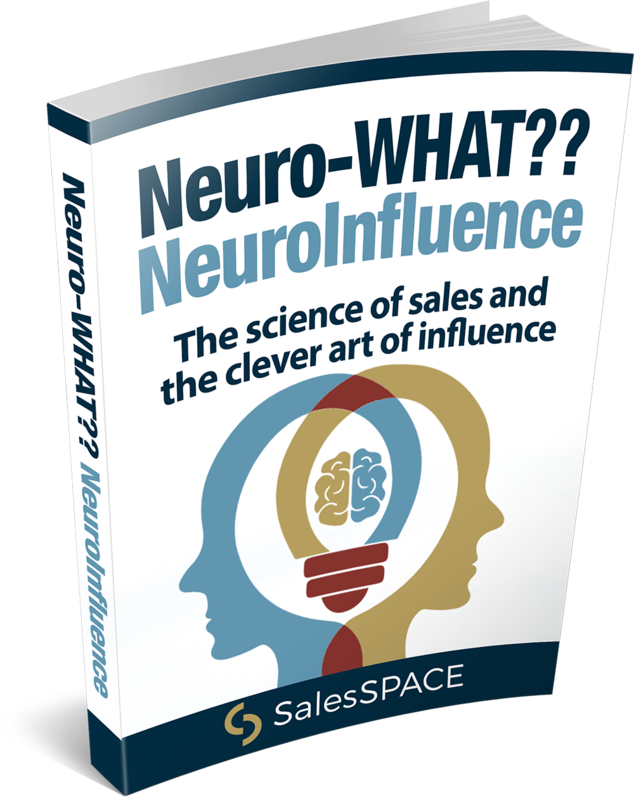 Continuing in a sales environment without a practical implementation of NeuroInfluence is costing you money. Download this free eBook today to find out more.